Wendy Wojcik of Weddings with Wendy is giving us an inside look at wedding planning, her advice for couples planning their big day and a moment she will never forget. How did you Weddings with Wendy get started? 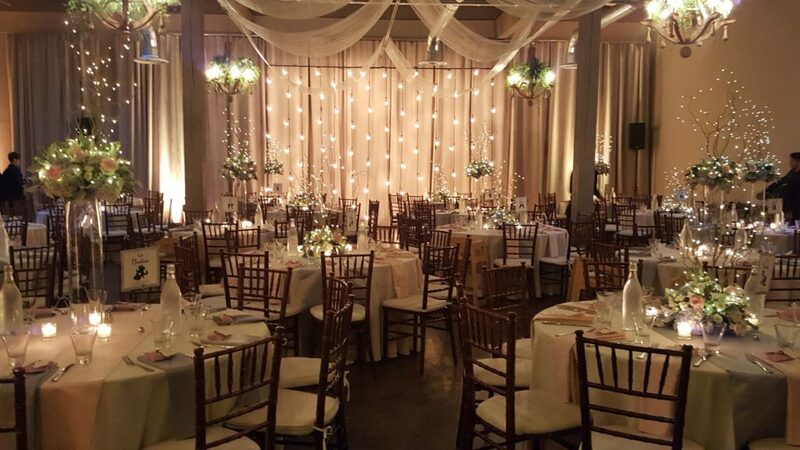 Before I began my career planning weddings, I was a catering manager for a well-known facility and it was those experiences that lead me into becoming a wedding planner. It is my passion to always plan a perfect wedding and help couples realize their dreams, and many times surpass them. I am very organized, have a strong attention to detail and my veteran status as a planner has allowed me to form strong relationships with wedding vendors that have benefited my couples. As a Northwest native I have been planning weddings for over twenty-five years and continually see the wedding industry evolve. Whether through technology, styles or their uniqueness there is one common thread and that is perfect planning. What is your favorite thing about being involved in a couple’s big day? I love seeing all the “Beautiful Moments” that just happen at each wedding and how all the moving parts come together for a perfect day! What advice would you give to couples who are just starting the planning process? Set a realistic budget based on your number of expected guests. The most common issue my clients experience is that no matter how much they have planned to spend on their wedding most of them don’t understand all the costs involved in planning a perfect event. My best advice to help them create the wedding of their dreams whatever budget that may be? First, we create a dynamic budget knowing that up in until the wedding day it will change but change doesn’t necessarily mean increase. I work with my clients to help them prioritize what is most important to them and then we adjust the budget for each item up or down to help them stay within the overall budget. Basically we rank what is most important to what is the least and spend more money on the higher ranked items and less on the lower. Is there a recent wedding trend that we can expect to see a lot more of in 2017? Here are just a few: naked cakes, live entertainment, metallic embellished dresses with see through silhouettes, natural settings with an abundance of greenery, oversized potted trees and unique food options. Is there one moment in your career that stands out as something you’ll never forget? Yes, I love to surprise my couples with something special to them. I had a couple get engaged on a Ferris wheel. So I happened to be able to get one delivered to them for their wedding day. It was AMAZING for them and all the guests really enjoyed it! Join our mailing list to stay up-to-date on the latest news, upcoming events, wedding and decorating trends, recipes and more!